This is hands down my favorite appetizer right now. We haven’t done a date night, oh in about 6 months. When we do we usually end up at Morton’s Steakhouse and we always start with bacon wrapped scallops. So with no date night in the near future, I threw together my own version. I have broiled these but the searing technique is so much better in my opinion. 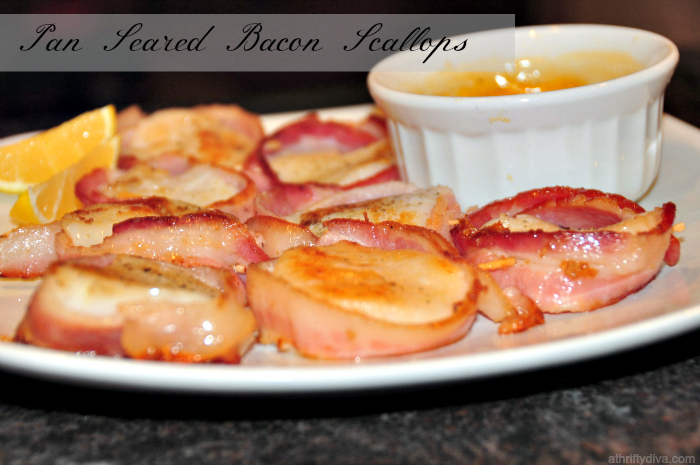 Here is my favorite pan seared bacon wrapped scallops recipe. 1/2 lb Large Sea Scallops (I get about 6 scallops) If they are really huge like mine I suggest cutting them in halves to get 2 out of each. 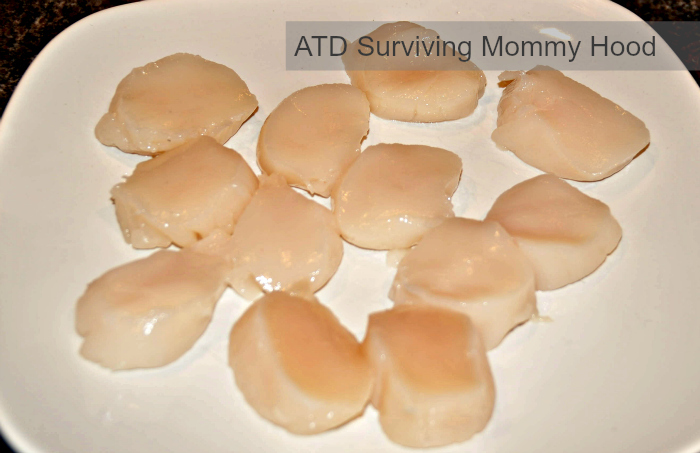 I cut my scallops in half and they are still about an inch tall. 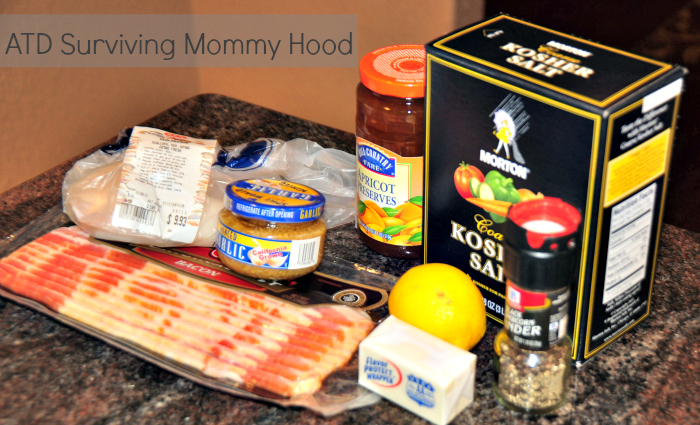 I gauge the height I want by the bacon. I want the bacon to wrap nicely around the scallops. 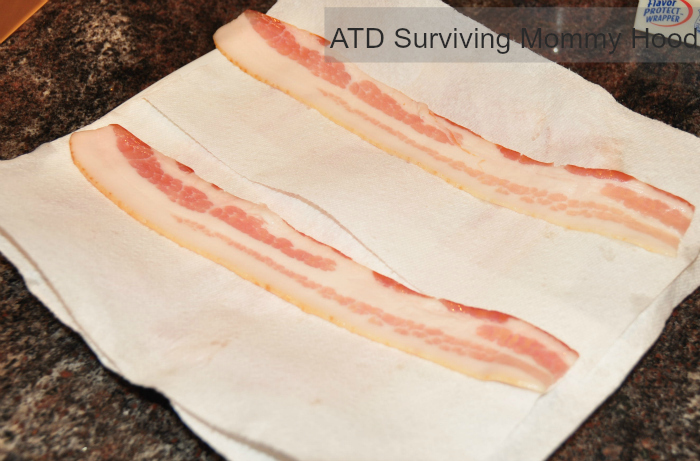 Cook bacon slices 3 -4 minutes in the microwave to get them cooked half way. Place them on a plate with a napkin. 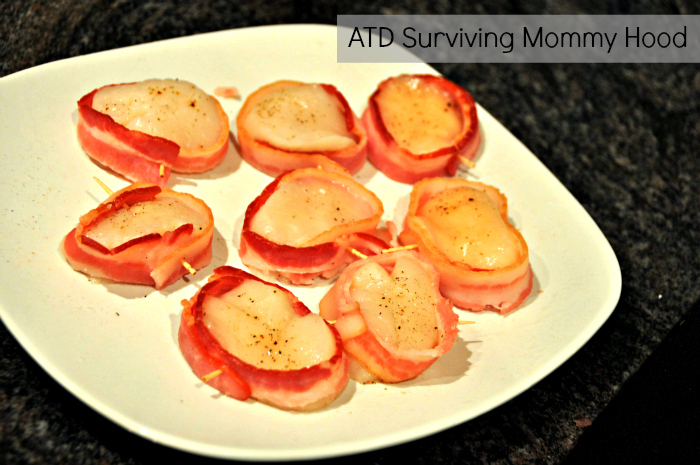 Wrap bacon around each scallop and hold together with a toothpick. 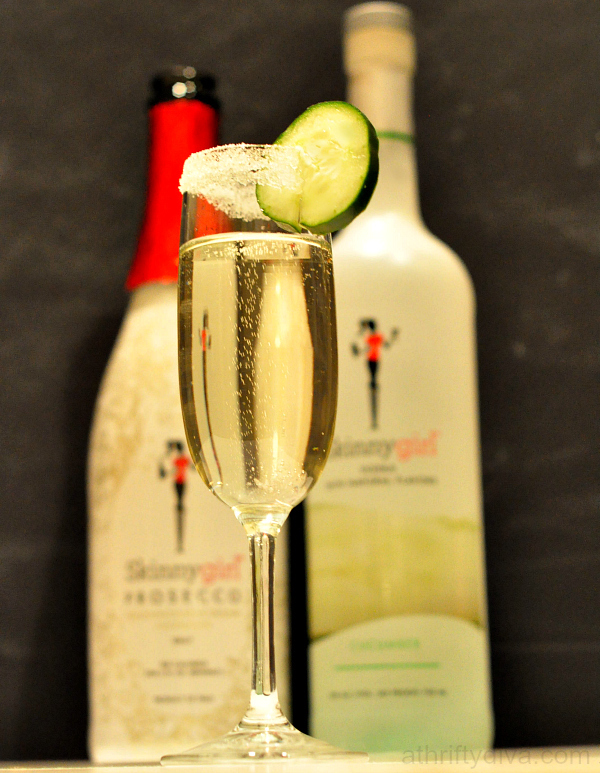 Sprinkle on cracked pepper and a dash of kosher salt. Heat butter or oil in cast iron skillet on high heat. Once butter in nice and bubbly add scallops. Cook on each side 3 minutes or until they get a nice brown sear. Place cooked scallops on a plate. Leave the skillet on adding apricot sauce, garlic and a dash cracked pepper. Stir 2 minutes until heated through and place in a small dipping bowl. I add a light sprinkle of lemon to the scallops and serve. 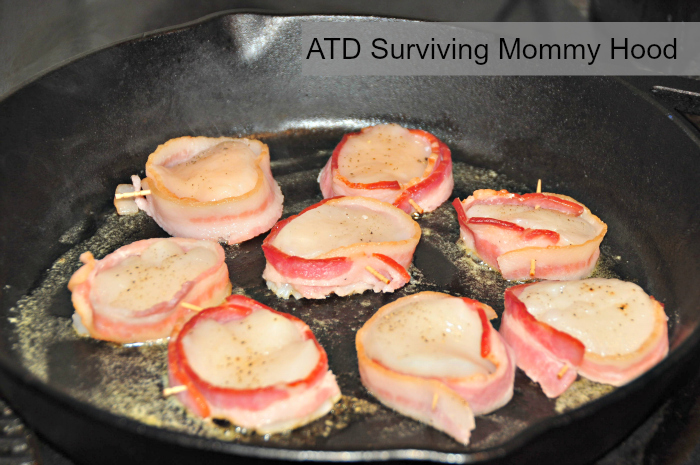 This is my favorite bacon wrapped scallops recipe. 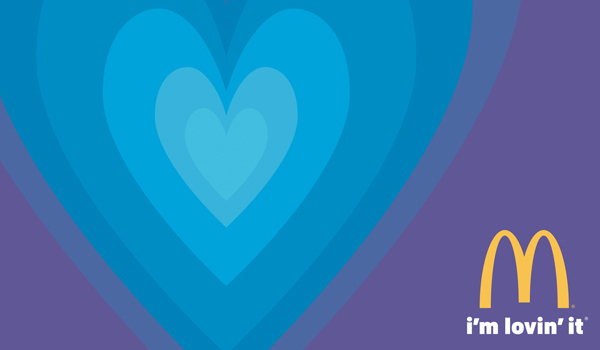 This is a compensated campaign in collaboration with McDonald's® and Latina Bloggers Connect. Behind every great kid, is a person who has made it their life's work to mold a beautiful human being.